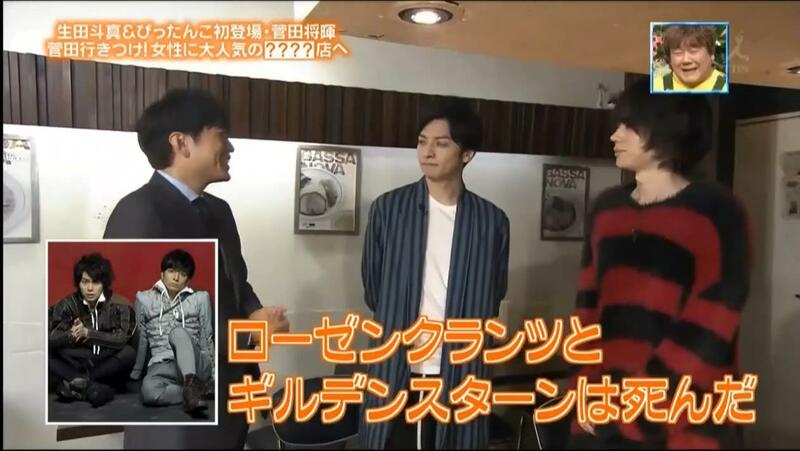 Ikuta Toma and Suda Masaki appeared on this show a month ago to promote their play, 『Rosencrantz And Guildenstern Are Dead』. 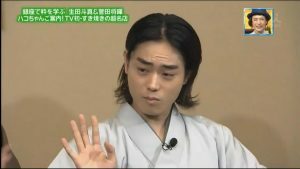 They couldn’t stop repeating the mouthful title. 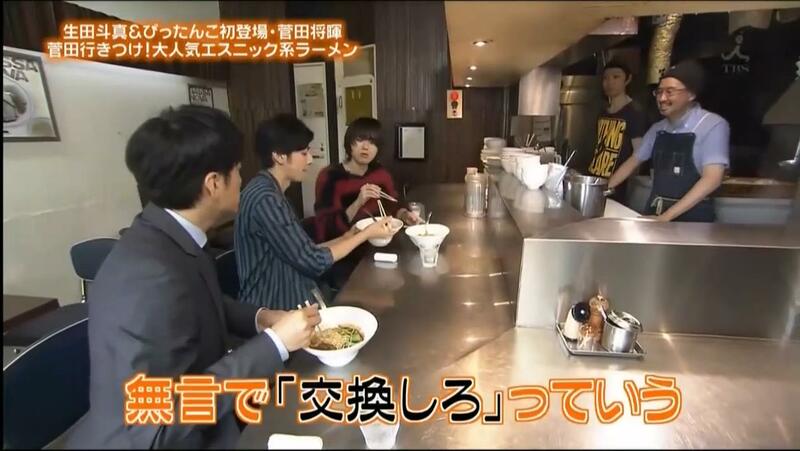 The first location was a ramen store that Suda visited frequently. 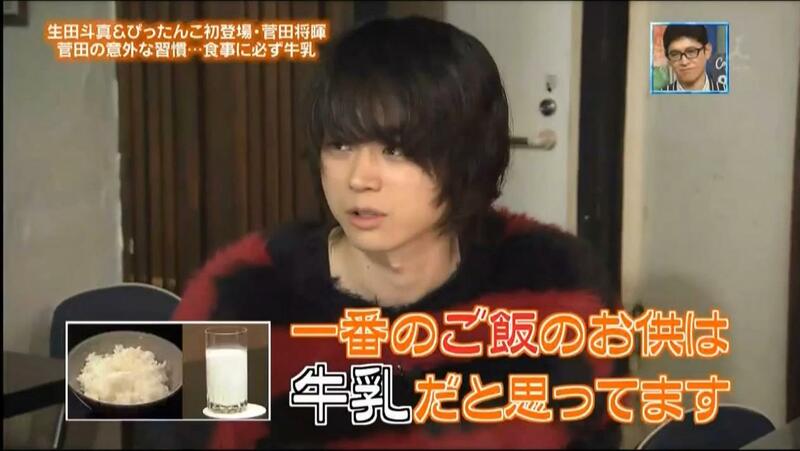 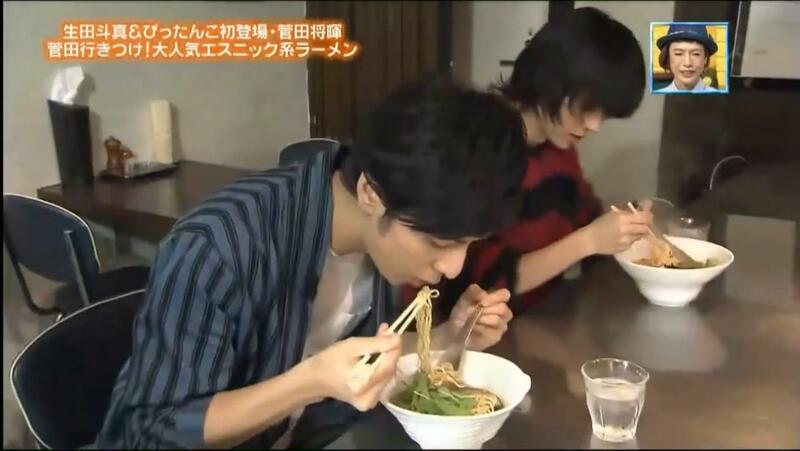 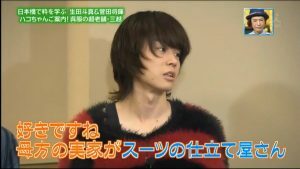 Ikuta didn’t fancy ramen so Suda wanted to introduce curry ramen to him in hope that Ikuta would enjoy ramen in future. 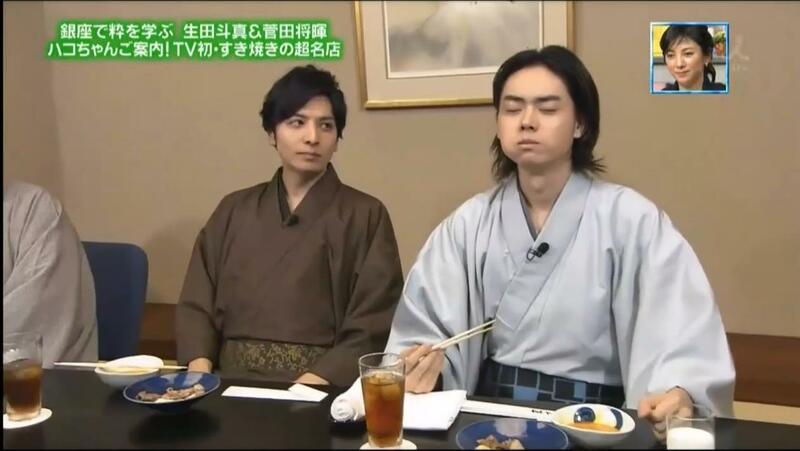 Suda was elated when Ikuta said that it was delicious after his first bite. 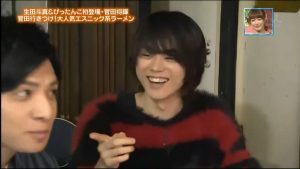 Senior Ikuta requested to try Suda’s ramen by shifting his bowl towards Junior Suda, which the latter complied via a silent exchange. 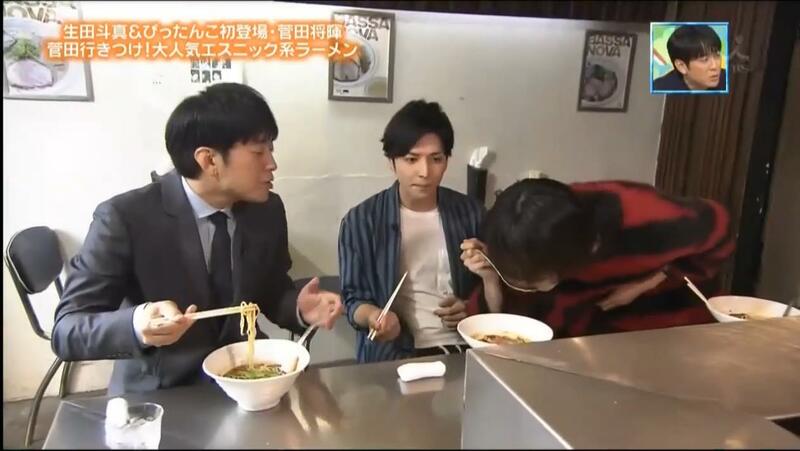 Of course, Junior Suda didn’t hesitate to try the soup while Senior Ikuta was busy talking to the host. 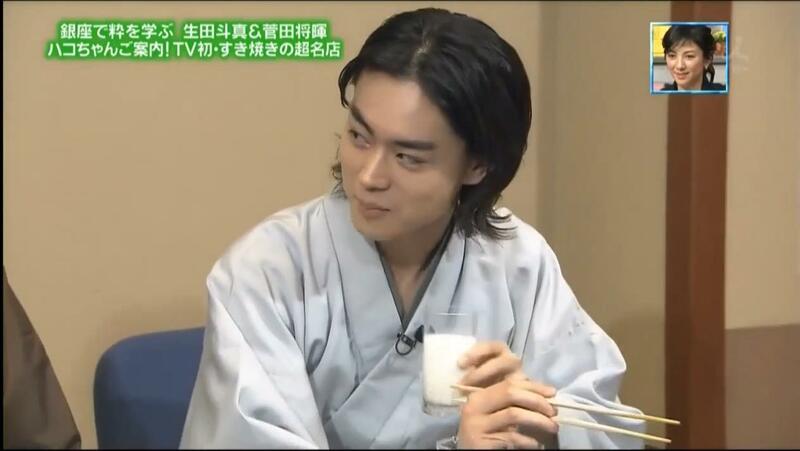 They talked about Suda and his favourite milk. Ikuta found him odd indeed. 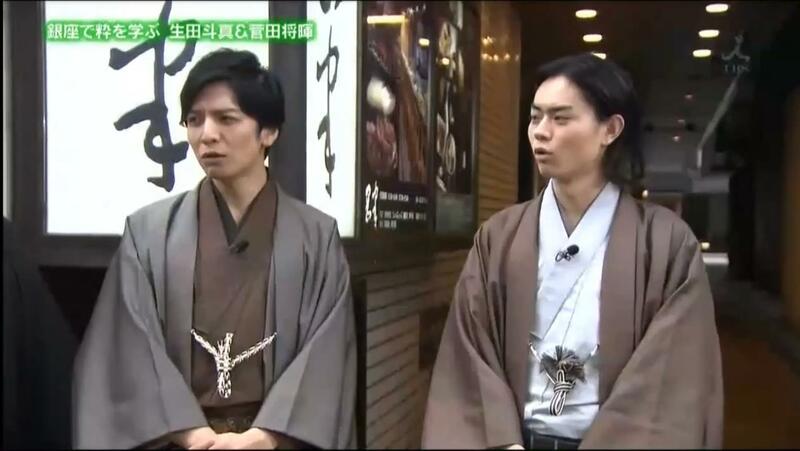 They visited a traditional kimono store at Mitsukoshi Nihonbashi. 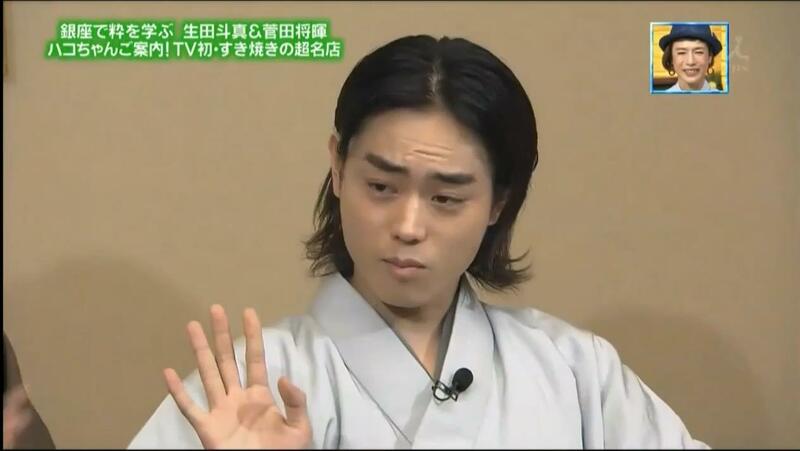 Suda mentioned that he only had yukata. 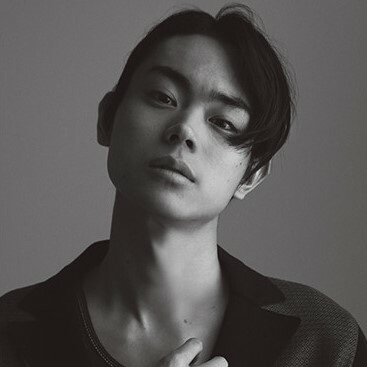 They also talked about how Suda was into making clothes, and he elaborated that his maternal side of the family owned a suits store. They were taken aback by the $7 million yen cloth. 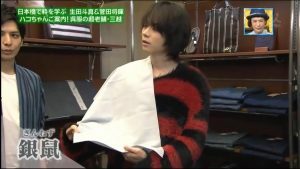 The next cloth suddenly seemed affordable in comparison…at $2.8 million yen. 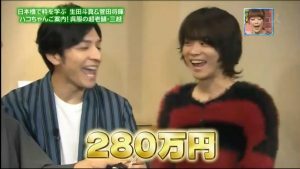 Ikuta and Suda wanted to go to a night club but were brought to a exclusive sukiyaki place that took the extra steps to fulfill their customers’ Epicurean needs, i.e. 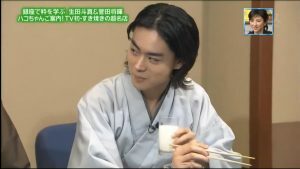 a glass of milk for Suda! Haa~ The meats were so awesome that Suda didn’t want to open his mouth ever again. 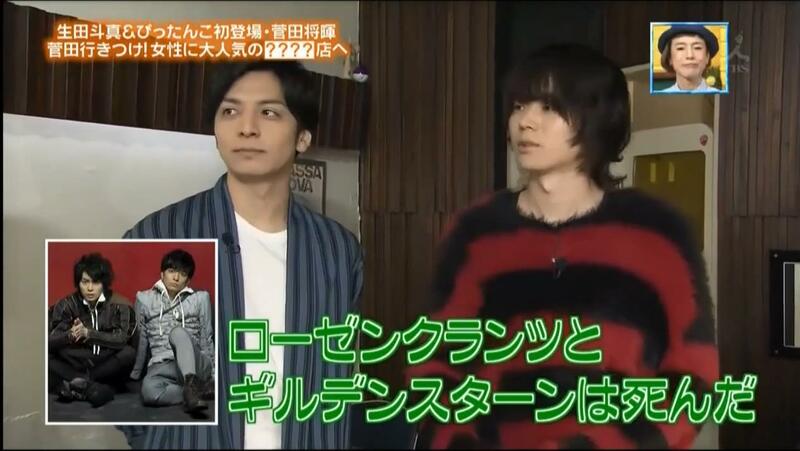 We also got to see a few seconds of the rehearsal for the play while they were promoting it.